As you age your skin loses its elasticity and the facial contractions over time can create permanent lines and creases on your face. Additionally, the sun and environmental factors will cause the loss of three main support structures in your skin: collagen, fat and bone. This leads to the "downward droop" in your face. In less than one hour, neuromodulators can relax those wrinkles and injectable fillers can restore the youthful contours by bringing back volume to your face. Juvederm for fine to medium lines, lip augmentation and mid face volume. Volbella for lip lines and wrinkles – NEW! With age comes the loss of collagen and the descent of facial tissues and muscle. 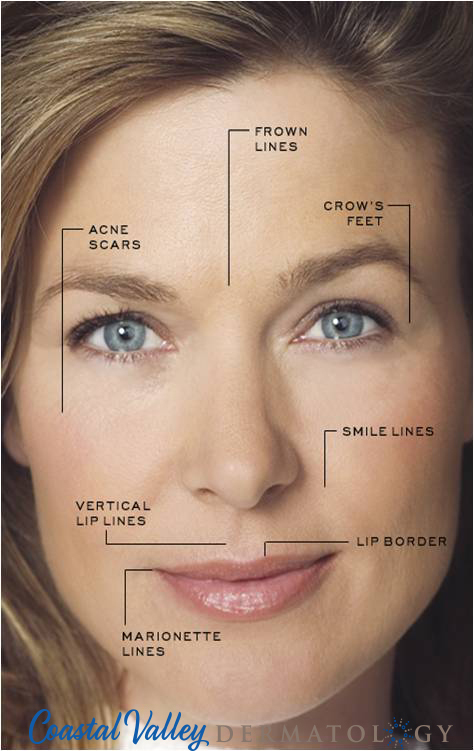 By filling in the smile lines, restoring height to the cheekbones, filling in under eye hollows, augmenting the chin, and enhancing lips, you can completely change the appearance of your aged face without surgery. Receive Dr. Javid's "Top 10 Secrets for Healthy, Glowing Skin" when you sign up for our newsletter and practice updates.